Will Twitter move to 140 characters tweet to 10,000 characters tweet? Reports say that twitter may launch a new feature which may satisfy all the twitter users. The limit may change when the product will release. San Francisco-based Twitter Inc. CEO and co-founder Jack Dorsey, examine that many users are suffering from the limited length of a tweet. They examine that roughly 300 million users have already including screenshots of bigger texts. User resolves that barrier with putting a screenshot of any long message or article to sharing on a twitter. 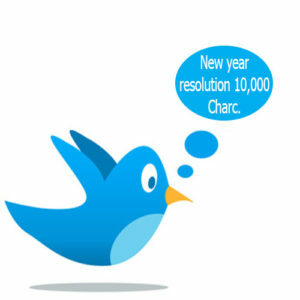 The company allows 10,000 characters in DM(Direct Message), the technology has no bar. For tweet, they give a more user-friendly option that for 140 characters are show user tweet with “See More…” extended button. Twitter gives freedom to all its users to write more and shares more. “That’s more utility and power”, Jack tweeted. By providing this feature, it may become a bigger platform for advertising which generate more revenue to the company. In 2006 for communication, Twitter gives 140 characters length to tweet while mobile phone text messages give 160 characters. Twitter have to do something new for engaging more user on their platform. If people will start to use new services, then it attracts more mass to join twitter. This new product may give the user to read entire story/article within the app instead of redirecting on given link and waiting for it. Twitter lagging back compare to Facebook and Instagram Because they grow very well in the past two-three years. Last year Facebook launched an interesting feature called, “Instant Articles”. They instantly showed the article in the app itself when user addressed it which reduces the cost of redirecting. The last report said that Twitter may launch this new feature in march’16. All are awaiting for march’16.